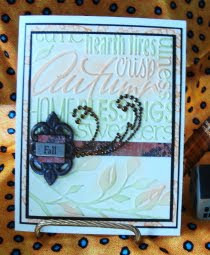 Vada's Blog Stamp Inks and Paper : Treat Boxes; Thank You Cards and Texture Duet TQ. I am back with “Ton’s Of Goodies”, today. 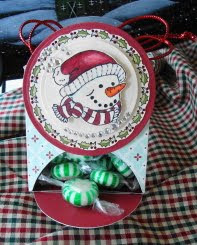 Our weather is nasty today so I have some free time to post my weekend stash.First, I am so excited about my treat boxes I am starting with them.I saw this TQ. on “Debbie Olson Blog” and would like to give her credit for it. So if you have time please check Thinking Inking for full instructions. 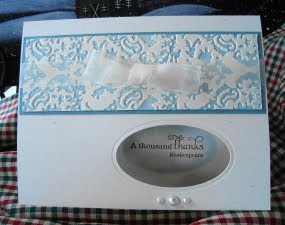 This is a graphic that I cut down to fit the top of this box.My stamp is from Stampin’ Up. Paper is from “Basic Grey“. Glitter Gems are from “Making Memories”. Paper is from “My Minds Eye”, stamps from “Just Rite”, and Cpoic markers, along with Glimmer Mist.Clear Glitter Gems from Wal-Mart. Now I would like to Thank Ali Manning for two fun and very easy thank you cards these two cards came from ones that she has posted on her blog, check Ali Manning Blog for instructions. Now from October/November newsletter, “Texture Duet”. I also added Versa Mark chalked background and Versa Mark resist band. This too has Glitter gems from Making Memories. Thanks so much for staying until the end of this post; it has been a long one today. 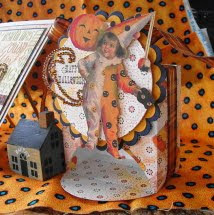 Have a wonderful day and stampin’ hugs Vada. Vada, the treat boxes are so precious! 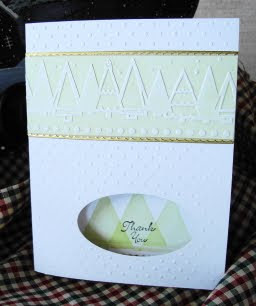 The "thank you" cards may be easy, but the finished result is lovely. Lastly, but certainly not least is the Texture Duet which is stunning! 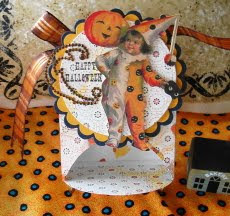 I love the colors you used for this Fall beauty! I got exhaused just looking! Have a great and safe day!!! Goodness you did have a creative weekend! The boxes are very clever & your cards are always wonderful!! VERY cool! LOve the boxes. Wow, all of these projects are gorgeous!! 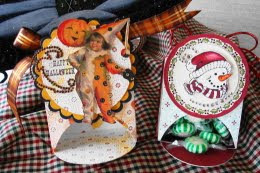 I especially love those treat boxes - so creative and fun! Your treat boxes are really adorable!